The ICT in education conference is running once again on the LIT-Thurles campus. This annual event brings teachers together to see how various technological platforms can be effectively used in classrooms. You don’t have to be a technical expert to attend #ictedu. But you do need to be passionate about education and teaching. In today’s society with the various budget cuts to education in Ireland, the general morale of teachers has fallen. To enhance and re-instil the passion within everyone, regarding why it is they love to teach and, what drives one to learn, is what forms the spirit of IctEdu. Whilst listening to a lecture by Pamela O Brien, one will be shown a side to teaching they may simply have not noticed before. That is the determination and care that teachers have for their students. This lecture will trigger questions in one’s thought process, notably what is it about education that makes people feel so passionate? The relationship between student and teacher, and how one can often find themselves via the form of education. Pamela will speak about how she loves to see her students prosper and better themselves through the forms of education. I remember when I was younger and in primary school. Education for myself at that time was all about meeting my friends and of course Art and Physical education class, which was held on a Friday morning was the highlight to my week. Reflecting back now with the knowledge I have gained about how much work teachers put into teaching there students makes me appreciate that I was lucky enough to receive an education. The harsh truth is not everyone is as blessed to receive a valuable education even in today’s modern society. This event celebrates education and is a platform for learning different skills from likeminded people about technology and various teaching methods. This is not your typical conference as it has various workshops throughout the day. Getting students involved is a very important focus of this event. You might even see the students giving the teachers a lesson or two regarding integrating technology within the classroom. There is a shared environment created on this day that allows both teachers, students and everyone in between to interact, and discuss their ideas on education. Tea and biscuit breaks are a necessity, in order to feed the body after nourishing the mind. The discussions that are had during these breaks are invaluable as they allow one to discuss the talks presented, and provide an additional element to the learning experience on the day. There is a great opportunity to meet truly inspiring individuals that hold that regard for education in today’s society. A great example is a speaker that will be at ICT in Education this year. Pamela O Brien, an intriguing and enthusiastic lecturer, is the main organiser of the annual ICT in Education Conference. Pam’s love for teaching keeps her focused on her goals within the classroom learning space for her students. She champions the belief that education is a learning experience between teacher and pupil, a symbiotic learning experience. Pam is passionate about education. She noticed there was a definite distance between educators and the students, both from a fundamental learning point of view, and within the emerging use of technology within the class room. Educators can often find that they are at a disadvantage to their students when technology begins to make its way within the class room. Students can often find themselves at an advantage to the educators, and with the increasing inclusion of technology, the relationship within the classroom can become strained. A disparity can open up, and it may take a great deal of effort on both student and teacher’s parts to bridge this gap, yet often it goes unnoticed or undiagnosed. When this happens, the student may falter, or develop a disdain for learning. Pamela O’Brien noticed this, and seeks to rectify it. Pamela is passionate about teaching, and she wants to remind educators about why they love to educate, as well as remind students why they wish to learn. She promises to inspire and encourage education within all. A desire and willingness to learn can stay within an individual for the rest of their lives. And this can also increase their employment chances, in the future, as they will continually seek to better themselves, thus making them valuable employees. Getting the local community involved is one of Pamela’s main aims this year. To have the community of Tipperary participating would enhance the sense of collaboration and unity. This event is for everyone involved in the education spectrum, or who wishes to become involved, with an environment that is friendly and open. Spending your Saturday at the ICT in Education conference can be nurturing for the soul. The ICT in Education 2016 in Thurles L.I.T Campus is looking for teachers who wish to remember why they have chosen to teach. If you still have that passion for education, being a speaker at this year’s conference could be just for you. Sharing how your style of teaching gets pro-active work done in the classroom can inspire others within this field. Follow this link to submit your proposal to be a speaker at ICT in Education. I know Pedro the penguin has submitted his. If you wish to attend ICT in Education you can reserve your place on Eventbrite. And if you cannot attend on the day, you can follow the flow of tweets from @ictedu or audio recordings shared by the Youth Media Team. Over the next several years Primary and Second level education has an opportunity to broaden its horizons over computer usage in schools. As newly qualified teachers arrive into the education system it gives the education system an enormous opportunity to adapt to the changing face of internet and computer usage. The influx of digital natives otherwise known as Generation Y or simply as Millennials gives us a chance to really expand our computer usage in schools and bridge the gap between second and third level education which is more technologically focused. The term Digital Natives and Digital Immigrants was coined back in 2001 by Marc Prensky in an article. Digital Natives were children who grew up since the early 1980s and generally had access to computers and later the internet while growing up. Digital immigrants were the reverse as they grew up prior to 1980 and generally had no access to computers and had to adapt to such technology in later years. As more and more Digital Native educators enter the system it allows a shift of balance in how all education can be effected. By far the biggest improvement that can be managed is in computer classes who until recently focused on just Microsoft Excel, Word and PowerPoint and the core of the ECDL (European Computer Driving License) can now expand upon this and teach students programming and database fundamentals as well as some computer design focused areas. Some educators have already begun by introducing such systems such as Coder Dojo to teach children the basic concepts of computer programming. This is a recent concept that has gained large scale interest and is rapidly expanding. All aspects of second level education can be adapted to include some use of computer literacy such as using OneDrive, Google Drive, Moodle and TurnItIn for class schedules and homework submissions. This allows students access to access vital learning material at all times and teaches them computer proficiency also. Some schools have integrated this by giving all students an email address and access to such services already but it is sporadically used. There is an opportunity to shift the focus from traditional learning from books to students using services such as Lynda.com or Google Scholar to research topics for themselves. Of course we cannot replace books entirely as their valuable information still proves to be key but it gives an opportunity to learn from more than one source which can prevent bias and proof in concept that there can be a more fluid and open way of learning new information rather than having a rigid approach. Newly built schools generally have larger computer labs and better equipment than retro fitted institutions to help spearhead this advance in technological learning. Some schools have taken this a step further by introducing a scheme where all students must have an iPad or a laptop for their studies. This encourages students to use computers as part of their daily lives and also is proactive in creating a specialist digital industry that most Countries strive for. I believe it is of fundamental importance for students who leave second level education to be proficient in computer usage as a lot of high skilled jobs now require some level of computer experience. The Irish education system prides itself on having a highly skilled and computer literate workforce upon students leaving school but this may not always be the case. New technologies are constantly being developed regularly and it is important that educators embrace these new technologies with open arms so that students can gain the best possible outcome from learning. It is integral to the youth of today to be in tune with the latest technologies and to be able to work with them. As more and more industries begin to rely upon good computer skills it is an issue that is not going away. The education system has to adapt to these new technologies or face being left behind by other nations education systems. Written by Stephen Murphy, Creative Multimedia student in Limerick Institute of Technology, Clonmel, helping to promote #ICTEDU , along with his team Eleanor Laleu and Jack Dunne. Recently, a Norwegian school announced plans to add eSports class in replacement of a physical education class. An eSports class allows for all students who take this class to be on an equal skill level no matter physical abilities, in particular for students who may be physically disabled. The eSports class plan is to have 15 gaming pcs which a class of about 30 students; this way students are playing online or they are doing physical exercises to improve eSports skills. An essential part of a physical education class is teamwork and communication, which through the years of eSports has proven to be the greatest skill needed to be a successful eSports team as you need to communicate with teammates on strategy and problem solving so you and your teammates can achieve your goals as a team. Many of titles of the class include League of Legends, Counter-Strike: Global Offensive, and DOTA 2; all online video games which require constant communication to be successful. The pilot class will not begin until the 2016/2017 academic year at Garnes high school in Norway. eSports are competitive video game tournaments and are often broadcast live on the internet and with a live audience. These video games, like League of Legends, Counter-Strike: Global-Offensive, and DOTA 2 are usually team based and require teams of five players. The larger tournaments held have sponsored such as Razer, Mad Catz, BENQ and other technology or beverage companies. For major league teams, these tournaments can be a great source of income from the prize money; the International League of Legends tournament in 2015 had a prize pool of $2,130,000 USD with first prize winning $1,000,000 USD. With the potential introduction of this class into mainstream school, eSports may quickly become a modern class. With the primary focus being secondary schools, it seems appropriate that the games selected for the course are intended for a more mature audience, but what about games that are for players age 18 and older? Games such as Counter Strike: Global Offensive are rated ages 18+ on both the PEGI and ESRB rating board, and most students in a high school setting are anywhere between 14 & 18 years of age. As the class will be a pilot this 2016/2017 academic year, there has yet to be any information on if there is a given age limit or prerequisite to the class. With the ratings of games, which are enforced so players, and more importantly, parents know what the game contains with just a look at a label. It will be vital to the class on how they will work with these ratings. One possible solution is that the class only select games in which the PEGI and ESRB rating are appropriate, that way students are playing the appropriate games suited to their age bracket. Most games with a mature rating tend to be graphically violent with blood and gore, use of profane language, sexual and or drug use. Most of the games listed for the pilot eSports class, which is to be introduced in Garnes high school in Norway, are rated Teen for players age 13 and older except Counter-Strike: Global Offensive. As an eSports class, I raise the question on if the students will be playing in a closed network, or if they will be playing against other users online? The pros to playing online would be very beneficial to the team building of the class once they have progressed through the course and have a good understanding of team communication and working together as a team. If the students remained within a closed network, it might become too repetitive to play against students in their class, which could plateau the students learning if a challenge is not presented. Playing against other players online would make them more adaptive when playing as a team. Occasionally, teams may have a joker in the pack which can cause trouble for their team, or be unpredictable for the other team. It would also be possible for students of the class to come across a team online, who may have developed more advanced strategies when it comes to these games; giving students a workout. Possible issues that could arise for students in an online environment is cross-team communication. ESport games that are incredibly competitive often lead to intimidation or confrontation if a team or player don’t like another player. This confrontation can be either through text, actions in the game such as focusing on a particular character or out of game contact via game messaging systems or social media. The presence of video games in the classroom has grown since I was in young, making my way to the computer lab to play Reader Rabbit for class. With games such as Minecraft being used in the classroom and displayed at ICTEDU and showing how it effectively promotes creativity with students. This technology could take a giant leap forward in the near future, depending on the success of the eSports pilot class in Garnes high school in Norway this upcoming academic year. Find out more about ICTEDU by visiting ICTEDU’s website, Twitter, Eventbrite or Facebook page. Written By Cole Campbell, Creative Multimedia student at Limerick Institute of Technology Clonmel, along with his team Bilal Waraich and Ciara Doyle. 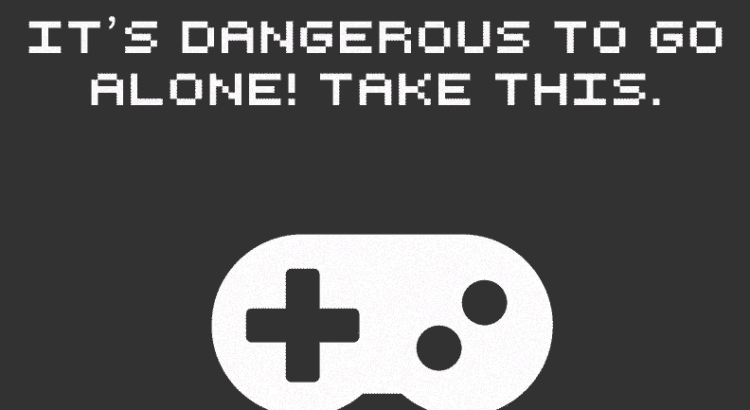 Video games have become a huge part of society, whether it is for socializing, entertainment or to pass the time. As the technology becomes less expensive and more available to the public, could video games be making their way to a classroom near you? Through the years video games have been integrated into the classrooms, but not significantly. Back when I was in public school, we had games on computers which disguised learning like Reader Rabbit, which reinforced spelling and word association with mini-games that made you focus on spelling the word of the image or the reverse, selecting the picture for the word. As you progressed through the level, you would make a machine run with each correct answer until time ran out and you would receive a score, something to work towards improving. Once all levels in a category were complete, you would earn a star next to that category, signifying you completed all levels. Technology has taken great strides since then, and we can now use video games for more than learning spelling and math. A Norwegian school recently announced plans to add eSports class in replacement of a physical education class. An eSports class allows for all students who take this class to be on an equal skill level no matter physical abilities, in particular for students who may be physically disabled. The eSports class plan is to have 15 gaming pcs which a class of about 30 students; this way students are playing online or they are doing physical exercises to improve eSports skills. An essential part of a physical education class is teamwork and communication, which through the years of eSports has proven to be the greatest skill needed to be a successful eSports team as you need to communicate with teammates on strategy and problem solving so you and your teammates can achieve your goals as a team. Many of titles of the class include League of Legends, Counter-Strike: Global Offensive, and DOTA 2; all online video games which require constant communication to be successful. The pilot class will not begin until the 2016/2017 academic year at Garnes high school in Norway. The art of being a teacher is a lesson based on getting people to be capable of polar thinking. A feeling, a thought and a sense. Where in, you see those that are thought to be mutual opposites, the student and the teacher. Teachers learn to teach, to fill the students with knowledge they don’t have. The teacher is always right because of their status as an educator leaving the student to be always wrong in retrospect until they have learned what the teacher has taught. Normally we think the right and wrong are mutually exclusive but to those who are capable to polar thinking, they can see the two go together and not as mutually exclusive. Let’s consider what is what is right in education. We have set a ridged foundation in how education is given to the youth. A foundation that is slowly deteriorating; ever so surely as the number of educators who use variances of technology in the class room grows. These are the educators who have allowed themselves to pause and take notice the serious strides in progress the youth have taken in today’s society in terms of equipping technology to be a part of their everyday lives. The children in our school stream today have learned to use technology in such an effortless manner, to take it away in the most important setting of their young lives is ridiculous. On the 23rd of April the 12th annual ICTEDU conference held at LIT Thurles shall highlight this major issue. Theme “Students as Co-Creators” is a collaboration between the student and teacher as a necessity. No special technology shall be featured at this conference, it is a showcase on how teachers have used technology during classes and what they found helped improve the learning experience for the student. A single day event not to be missed shall also hold workshops and talks by key note speakers; Barry Ryan (Biochemistry – DIT), Steve Wheeler (Educator, Author), Laura Howe (Educator, innovator of Older Voices Online) among many others. Highlighting adaptions of technology into the classroom is the top priority of the conference and has been for many years. Technology being a medium between student and teacher means that the connection doesn’t stop at school hours. Recently while at the gym between my own college workload I overheard two apparent 6th year student taking about an Art History essay on Michelangelo due the following day; one student complaining the essay would take ages to research and write. The other was more reassuring, referencing the shared google drive folder between the class and art department had all the required notes. This to me personally is amazing and I wonder how my own Art history essays would have gone had I had a direct link to both the teacher’s online sources and the 500 page book that never left my rucksack. Would I have learned more with two mediums? The answer is a resounding yes. Putting it very black and white; when a student unable to use one source (for lack of a better reason, the student is bored at staring at pages or the student is fed up staring at a screen) they given another, they get a mental “revamp” at their work. In short their work has a 50% more chance of reaching a higher grade mark. To shy away from having a platform for your students to learn online is ludicrous, as we progress further into the 21rst century the use of online resources shall only grow. A lot has and can come from the written note; a form of cognitive learning, we are not trying to abolish the practical way of teaching, only improve it. The World Wide Web is the single greatest database of knowledge, one you can’t afford to deprive your students of. Yes one could argue that a young child would rather watch a squirrel water skiing with the aid of a remote motor boat, but how is that any different from the child who would draw stick figures on the corner of their textbook pages and watch their little animation come to life. It is learning to find the balance between the two, to know when one shall be more beneficial to the learning environment you the educator has devised. The fact you have taken time out in your busy schedule to read this shows to yourself you are accepting of change. Hope to see you at The ICTEDU. Written by Stuart Mackey; Creative Multimedia Student, Linda Maxwell and Liam O’Reilly – Digital Animation Students currently attending Limerick School of Art and Design Clonmel. One of the main components of learning is reading. But what is the best medium for reading? In the recent years there has been a lot of arguing and debating between the fans of traditional print books and those who prefer the modern e-books. Although most people would agree that the smell and texture of paper is part of what makes the reading so enjoyable, the benefits of digital reading material are undeniable also. The arrival of e-books has drastically changed the education system all over the world. One of the biggest advantages of using e-books in education is in their portability. Instead of carrying a school bag full of heavy books some students are now required to possess a single small device which stores all of their study material. By implementing the use of tablets in the classroom teachers can ensure that all students have the necessary books for every lesson, in a single gadget! It helps to ensure that the study equipment is not left at home due to the student’s forgetfulness or because the schoolbag is too heavy to carry. Without the massive books there is also no requirement for lockers and storage places. Instead of having to repack the backpack every day, the students must only ensure to bring their tablet to school. Instead of allocating an entire room as a library, extra reading material can be found and borrowed, or purchased, online and then stored on the tablet for as long as needed. It is much easier to keep the study area nice and tidy. The organisation of equipment becomes much easier as there are not so many books and note copies scattered around the place. As digital books do not require paper, they are more environmentally friendly and cheaper to purchase. These books can be accessed much quicker- by a simple download as opposed to paying and awaiting their postage or travelling to a bookshop. There are also many discounts and deals available for the educational e-books which help to save money and make the lives of parents much easier. The small size of tablets is also helpful at sustaining the health and safety of children as their backs are less likely to get damaged by the heavy weight of the school bags. However digital books and tablets can have drawbacks also, and as a technological student, sometimes looking at screens for long periods of time can lead me to suffer from eye strain and discomfort. Many of my fellow classmates who also work on screens for numerous hours every day, sometimes find that their vision gets blurry and their eyes can become irritated and fatigued. The fact that not all books are available online is also a weakness. Libraries have been around for a much longer time than tablets, and of course, they provide a bigger range of reading material. The variety of e-books can quite limited in that many historical books may not yet be digitalised. In my experience from a previous project I completed, I found that online resources were lacking and the main resource for information of bygone times was in fact the library and museum. Yes there are many resources online but there will always be some areas that are lacking. There is also the feeling of accomplishment when a student can physically see how much of the book has been gone through by the number of pages on the left compared to the number of the right. It is a lovely way to see progression in a subject. It is also the experience of reading in the library itself and interacting with others in it is irreplaceable. For me, that quiet space can prove invaluable to learning, because I can get the mind-space away from distractions and technology and focus on the matter at hand. It is a breathing space place. Albeit many libraries have computers, many of them also have spaces which are technology free, which to my mind is a great facility to have. Sometimes, technology just gets in the way. After all, most people nowadays have email, group chat, shared online work space and many other mediums on their phones, so to get away from all of that for a short while can be invaluable to recharging one’s personal batteries. In comparison to a digital book whereby one may see the percentage complete in number form, there’s something very special about actually seeing the pages that have been covered. So, you do have e-books and you do have print books, but in the end it is often a personal preference as to which one is suitable for you. For me personally, I prefer the printed book as I can physically see the amount of reading I have done. There are some schools that seem to be giving the students some choices in this area. A living example of this is a scheme piloted by a secondary school in Ballincollig in County Cork, whereby they introduced the use of iPads as part of the school curriculum for first year students in 2012. The students and parents were given the choice at the time to take part in this pilot scheme. Approximately half of the students opted to use the iPads. We’re certainly curious to discover how this worked out since then. Are you? Can the two work together? Which is best? Which suits today’s modern society? In education, there are many different mediums in which teaching and learning can be expressed. Two of these mediums are online learning and classroom learning. Although there are elements that crossover in both, they do differ significantly. One of the key components of classroom learning is presence. The fact the teacher is physically in a room with a student means that there is a direct link between teacher and student. There can be a lack of opportunity to engage with the teacher, get to ask questions or receive feedback at a time that is convenient to them. Yes, there is feedback, but sometimes there is a time lapse between asking and receiving a response. This could sometimes hinder progression as the student may occasionally need to be in the moment and talk out problems he or she may be facing. There are times where having someone present is really beneficial. Having that connection with another person helps us to establish relationships and lets conversation flow as it delves deeper into topics. This physical form of learning has been used since the age of time and has shown time and time again to be effective and something that should not be easily dismissed. But you shouldn’t shy away from online learning either, it too, has many benefits. You yourself can go off and find the things that interest you the most. Of course this can also be achieved by attending a course, but there may be obstacles around this for some people. For example, a perspective student may not be able to embark on a course in an institute due to other circumstances such as family commitments, travel constraints and financial difficulties. There are many different resources available to find information such as audio books, video tutorials, online courses and informational websites. Online learning is an ever-growing option and that many people are looking towards for their learning. There is a lot that can be said about taking notes in class. From an online perspective notes are digitally based resources such as documents, presentations, audio notes, video tutorials and online reading materials. With video tutorials you can follow along and go at your own pace. Video tutorials can be found on different websites such as Lynda.com, Edmodo and even Youtube. These resources can be really beneficial when it comes to broadening the foundation of your knowledge as set down in the course. As previously mentioned, there is often a cross over between online learning and classroom learning. From my perspective, I find it stimulating when a teacher uses different methods to deliver a class. For example, using projectors to display presentations helps me to retain more information with both the spoken word and a visual aid. Online exam web pages such as Socrative for instant examinations and corrections allow me to review my learnings quickly and also give immediate feedback to the teacher. As a student, I also like when we have external speakers address us. The use of web cameras in this instance can give a whole new dynamic to learning. I find it quite stimulating to see and hear a different voice, coming from a different place, yet teaching me something in that moment. In my opinion learning can be made more thought provoking with these resources and help enhance education. For students it means they can go back and revise using these digital resources and research different elements. Using a resource such as Google Docs or Microsoft Word collaboratively helps reinforce learning on topics covered in classes. Features such as comments and track changes are available in both so students and teachers can see ideas forming and current learnings being applied. Comments are particularly useful for feedback from team members and teachers alike. But there is another side to every coin and when flipped there is an argument about the different digital resources that can be used. I imagine that this must add a different kind of pressure for teachers when it comes to devising notes for students. As technology is ever growing at an alarmingly fast pace, it must be very difficult for teachers to keep up with these changes. However in saying that, having different delivery styles and methods cater to a wider variety of different learning styles. In my student life, I have encountered some teachers who are not very technically savvy and have found it difficult to integrate digital resources into their lesson plans. Nevertheless, I think that a resource like Socrative could be used quite easily. There is very little learning involved in using it from the teachers side, and from the students point of view, it is a fast and easy way to assess their understanding of a topic. For students, online resources can mean more temptation to plagiarizing material. There are good and bad arguments whether online learning or classroom learning or even an amalgamation of both are of benefit. Having talked to a current LIT student – Claire Murray, she discussed her experience and thoughts about learning online and learning in the classroom. She went on to explain this from her perspective. “Online programs can provide a very flexible alternative to many students to obtain further education. I returned to college as a mature student, married and with children. There was a lot of thought went into whether I would follow an online learning program, or attend college on a full basis. On the one hand, an online program was very appealing because I wouldn’t have to travel or spend too much time away from home. I also felt that I am quite a motivated person, so online learning would suit me quite well. However, I am also a very sociable creature and interaction with other students and with lecturers was equally as important to me. Some of the considerations in making the decision focused on finding a program which suited what I wanted to do. There were two of these – one in Cork and one in Clonmel, Co Tipperary. Clonmel won out because even though geographically the Cork campus is closer to where I live, Clonmel was actually more accessible due to reduced traffic congestion. One other rather important consideration was internet access and connectivity. Unfortunately, in Ireland today, there are still many homes whose Internet connections are less than adequate for attending an online course, and I happen to be one of those unfortunates. Online learning can have the disadvantage of isolating a student from both other students and lecturers/ instructors. As well as this, online learning is still relatively new, when the first online degrees started becoming available around 1995, so I suppose, in my opinion, this hasn’t been enough time to properly evaluate the teaching methods, or student understanding through an online only course. While a student is in a classroom, again, in my opinion, they can have the added benefit of interacting with and exchanging ideas or thoughts with other students. For me, this helps me greatly with my learning. If someone is having a problem, or facing an issue that they have tried to resolve on their own, somethings have another person’s eye thrown over your work can lead to something being solved quicker. I daresay that face to face contact also lessens the probability of communication barriers, versus barriers that could possibly exist online. For me personally, I feel that with online learning, which I have also experienced, lacks the “vibe” that happens in a classroom. I love the interaction with others and I feel that I learn better through this interaction and involvement. I am a very sociable person, and the best environment for me to learn in is one where I am encircled with other people. That is not to say that I avoid quiet spaces where I can study or work on my own either. Sometimes there is nothing nicer than being outside in the fresh air and contemplating the learnings of the day. I remember way back when I was in primary school and on the rare occasions when our teacher decided that the day was too nice to waste, being brought outside, sitting on the grass and discussing the class’s topic. This was so invigorating! Technology definitely has a very important place in learning today, but you just can’t beat socialising with your teachers and peers. Written By Eiren McLoughlin and Claire Murray, Creative Multimedia students at Limerick Institute of Technology Clonmel, along with their team Glen Sweeny and Inese Vecele. Learning happens in both cases; both student and teacher. Not unlike the Amish who have the elders to decide how much technology may be used on a daily basis, our educators decide how much technology is incorporated into their teaching method. The power of technology has grown rapidly in the past decade and it is our duty to exploit In terms of education to prepare the students better for the pre discursive learnings that are needed for the future. I remember whilst at school; as a student, you would feel such pride when you were allowed book “Computer Time”. Having to wait 3 – 5 minutes; drumming your fingers on the keyboard to the dial tone of the loading internet browser, escaping the mundane chalk board was euphoric. We never knew what to research and as children with access to a vast archive of knowledge we were left to play badly animated .swf files for 10 minutes. For lack of a better reason we didn’t understand the power we controlled. What happens when the student knows more than the teacher? My sibling have recently entered the joy that is second level education; and now, adapting to a new environment, multiple teachers he tries to manipulate and puberty, what my brother has trouble. Trouble coping with was the lack technology used in the institute. The younger generation are born into technology and to restrict the access of it to students in probably the most important setting they will need it is ludicrous. To emphasise suggesting; imagine if the student goes to the library, they would use the computer to search and not a physical file system. T emphasize this point – You- tube has over 3 billion searches a day. Learning in the future some teachers may not understand that student are given access to a separate library to search for knowledge i.e. the internet two most used is Google and You-tube. How would teachers open the minds and offer a broader range to the students to help them to go the extra mile in their education if the student knows more than the teacher. Teenagers will now ask a machine rather than an index for their required information. How can teachers ensure that learning always comes first and that technology will supports the process? Students in today’s society are not taught how to use the computer, what is its true purpose. Nobody actively telling them to research Ralf Waldo Emerson or Alan Watts or how having technology in the classroom would be one of the greatest tools to expand their mind-set and connect to a broad world. What if students don’t understand that technology has become a window to allow them to partake in events around the globe in every sense but physical. Many educators have incorporated Open Educational Resources (OER) are freely accessible, openly licensed documents and media that are useful for teaching, learning, and assessing as well as for research purposes. It is a leading trend in distance education/open and distance learning domain as a consequence of the openness movement.
. An educator willing to incorporate OER to help their curriculum, shows that they are striving to give the student more than the text-book standard education. Not all educators willing to use OER might be particular “Tech-Savvy” and as such feel it a daunting task for themselves to learn. Many teachers at this very moment are left to deal with a system that would consider “Over the shoulder learning” (i.e. two to three student using a particular device together because of lack of equipment) manageable.Consider 27 students in a computer lab that consists of 25 computers. 4 students would have to share. Out of 27 student 4 would have their learning experience cut to facilitate their classmates. 4 out of 27 are now behind. How do we combat this? Ask yourself, how would you combat this? By appreciating that learning often occurs during creative moments. And when that creativity happens collaboratively, powerful synergies come into play. Creative people do not have answers, but they habitually question the status quo and think about alternatives and improvements. They discover and invent possible answers. They habitually ask better questions. They have optimism. When combined with empathy and compassion, creativity is bound to be a force for good. The call for presenters for this year’s ICT in Education conference is now open at bit.ly/icteducall. The ICTEDU (ICT in Education ) shall take place Saturday the 23rd of April in Limerick Institute of Technology, Thurles. For more information see http://lit.ie/ictedu. Written by Stuart Mackey, Creative Multimedia student in Limerick Institute of Technology, Clonmel, helping to promote #ICTEDU during syndicated online conversations, along with his team Linda Maxwell and Liam Rielly. What will the future hold for education and teaching? We are now at a point where students could attend a lecturer virtually via a VR (Virtual Reality) head set such as Oculus Rift, without ever attending classes physically. They could also use VR technology to “be” at the battle of Waterloo, rather than just read about it. This has the potential to completely change education. As great as this sounds, something would be lost along the way. There is no substitute for face-to-face interaction, or the experience of being in a physical location with other people. Digital technology, no matter how good, cannot really substitute for hands on experience. I think teachers will always need to interact in a physical environment with students in some capacity. After all, science fiction has often postulated the idea of eating your meals in a pill form, but I cannot imagine anyone packing away their dinner plates any time soon. By looking at the bigger picture of what technology can bring to our classrooms, and upgrading our thinking, we can become more open to embracing the new and exciting technologies that are widely available to us. For more on how ICT can help to improve the way you teach, or to join the digital revolution, come along to this year’s ICTEDU (ICT in Education) on Saturday the 23rd of April in Limerick Institute of Technology, Thurles. For more information see http://lit.ie/ictedu. Written by Kevin Dwane, Digital Animation Student in Limerick Institute of Technology, Clonmel, helping to promote #ICTEDU during syndicated online conversations, along with his team Laura Pigott, Sean Jordan and Marta Casalini.